Are you a motor enthusiast or do you just love a good day out? This summer the North East has got some of the biggest and best car shows happening – we’ve picked five that we think you’ll love! The biggest outdoor motoring event of the year will be held in the North East over Saturday 8th and Sunday 9th July 2017. 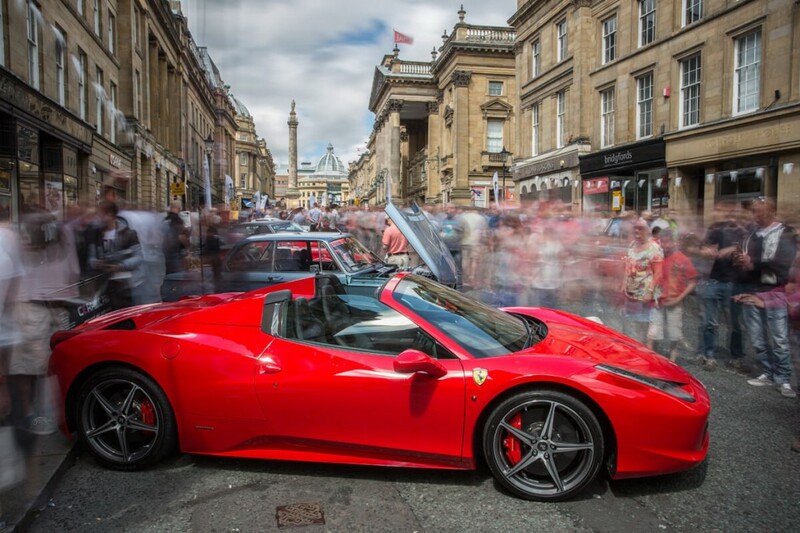 Some of Newcastle’s most famous city centre streets, including the iconic Grey Street, Northumberland Street and Shakespeare Street, will be transformed to host some of the most rare and expensive vehicles in the world. Referred to locally as the ‘Goodwood of the North’, the event will host a variety of motor themed events and activities for a weekend of family packed fun. Grey Street will have some of the rarest and most exclusive cars on display, giving the public access to vehicles from the UK and internationally, to talk to experts about them and view them up close. Last year saw over 104,000 people attend the event over the weekend to take a look at over £10 million worth of cars that were exhibited, including the Aston Martin DB11 and the Renault Formula 1 Racing Car. This year is set to be bigger and better than the last, with new cars, a bigger display area and Lloyd Newcastle BMW on board as dealer partner for the event. The weekend is completely free to attend and will be open from 10am-4pm each day. On Sunday 28th May 2017, Durham Mini Club will once again host the Mini and Classic Car Show, showcasing a number of classic cars and delightful Minis. Last year raised £1,420 for the Tree Tops Ward at Durham University Hospital, so donations are going to a very good cause. The show starts at 10am and the entry price is only £2, with children under 10 going free. On Saturday 12th August the Newcastle Car Show will be coming to the toon, with a one day event hosted at Newcastle Racecourse in Gosforth. The event will feature modified, sports, classic, unusual and American cars for the public to get up close and personal with. There will also be a FREE fun fair, DJ’s and a stunt show arena, so you can expect to see crazy stunts from motorbikes, quad bikes and cars, with a few parking tricks and handbrake turns thrown in for good measure! Organised by the North East Club Pre-War Automobiles, this classic car day will take place at the famous open air museum Beamish on Sunday 24th September 2017. This event is set to feature cars from 1920 onwards by manufacturers such as Daimler and Ford, which is bound to get motor enthusiasts talking. Last year there were over 400 vehicles on show, so you can expect similar numbers this year to feast your eyes upon, plus, a great day out at Beamish! 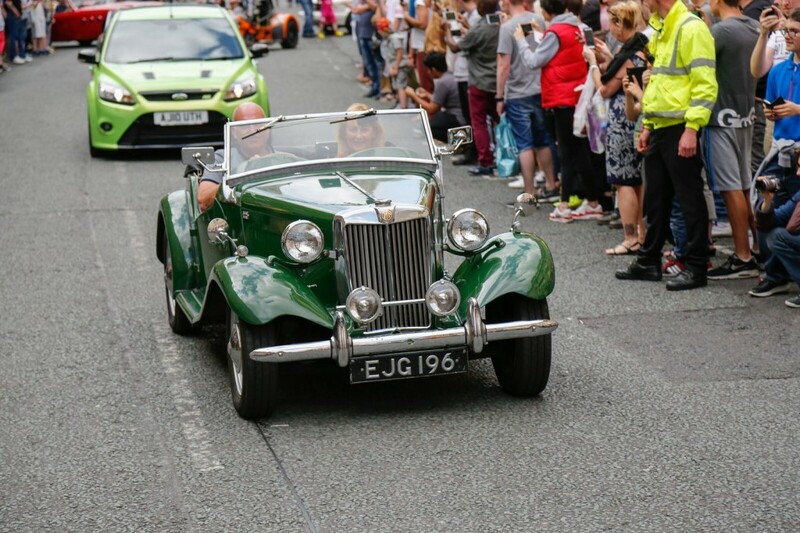 If you love vintage and classic cars, the Whitley Bay Classic Car Show is the one for you. Gearing up for its fourth year in a row, hundreds of vintage motors will be parked up at the coast this September. The event will feature cars from 1930’s to more recent models. The event, organised by North Tyneside Council, will also have live music, food and drinks and a small fairground for children, so you can keep the little ones entertained. It’s completely free to attend and takes place on Sunday 17th September 2017. If you’d like to register your vehicle to showcase at the event, you can do so by clicking here. Are there any motor shows you have your eye on this year?